CR6 is also a rail clip for hanging cable from the CRJ Rail system. 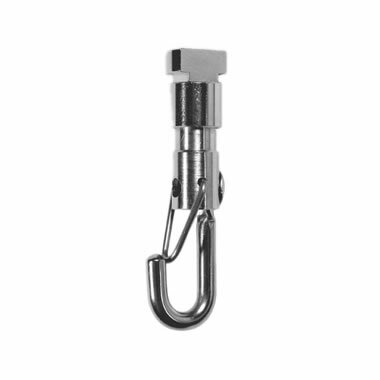 CR6 is a hook for holding looped cable. Use two cables on two CR6 to suspend a display shelf from the rail. The CR6 can be inserted and removed at any point along the track making it easy to add or remove individual pieces without disturbing adjacent artwork.